It’s cruiserweight fever right now, as we await tomorrow nght’s historic four-belt unification showdown between rival champions Murat Gassiev and Oleksandr Usyk in the final of the fantastic World Boxing Super Series. For the first time ever one man will hold all four major world titles at 200 pounds – WBC/WBA/IBF/WBO. For many years the cruiserweight division, since it’s introduction in December of 1979, was either ridiculed or largely ignored. A division for either fat light-heavyweights or men who were too small to be heavyweights in the opinion of many critics, the 190-200 pound weight class had to wait a long time before it was treated to a great fight and before it was fully accepted as a legit division by fans. Over time, great warriors like Evander Holyfield, Vassiliy Jirov, Marco Huck, Dwight Muhamad Qawi and others – including Usyk and Gassiev – helped establish the division and, finally, make it a fan favourite. That said, who are the ten greatest cruiserweight champions in history? No contest here. 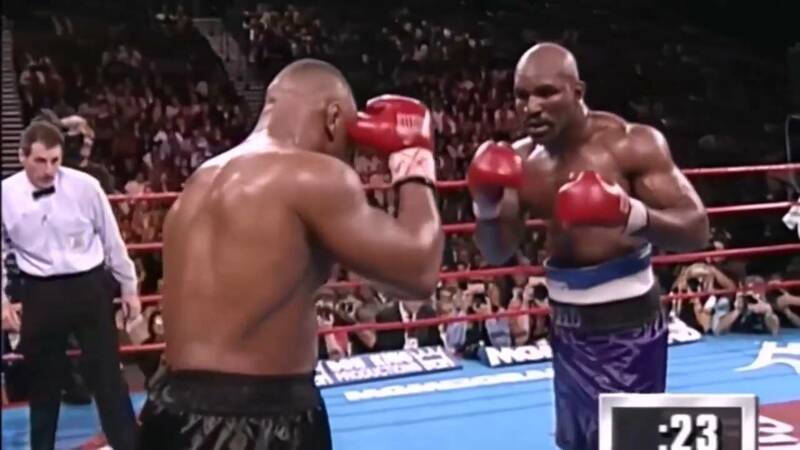 Holyfield cleaned up the division, winning all three available belts during his relatively short reign. Best win: WM15 Dwight Muhamad Qawi in arguably the greatest cruiserweight fight of all-time. De Leon may not have been truly exciting to watch in many of his fights but he was slick, durable and he stuck around seemingly forever. A four-time WBC champion, De Leon was a talented boxer. Best win: TKO8 Marvin Camel. If only Haye had been able to stay at cruiserweight. Incredibly fast, explosive and powerful, Haye would have given any cruiser in history a war. Best win: TKO7 Jean-Marc Mormeck. The southpaw made an impressive ten defences of the WBC crown, Gomez was able to see off a number of tricky and awkward fighters. Best win: WU12 Marcelo Dominguez. The two-time world ruler was a gifted boxer but also a tough warrior who could dig deep. Fought a number of classics. Best win: WU12 O’Neil Bell, avenged a tough stoppage loss. The all-time great sadly failed to stay too long at 200 pounds but the fights he did have there really made an impression. Very possibly Toney’s most suited, most comfortable weight to fight at. Best win: WU12 Vassiliy Jirov. Who knows how long the 5’6” Qawi would have ruled the cruiserweight division for had it not been for that gruelling loss to Holyfield. Qawi was, to put it simply, a bad man! Best win: KO11 Piet Crous. Not everyone liked his style or approach but Nelson was skilled, slippery and he enjoyed a heck of a long career at top level. Managed a record 13 title defences. Best win: TKO5 Carl Thompson. A rough, tough and consistently thrilling to watch warrior, Jirov had a granite chin, an incredible work-rate and a hard punch. Best win: TKO8 Julian Letterlough. A tough man who as never stopped, Wamba overcame all manner of styles and he never lost his WBC belt in the ring. Best win: TKO11 Massimiliano Duran.